The video game pioneer started his career operating rides at a Tokyo department store. Masaya Nakamura, the founder of an innovative Japanese entertainment company that invented the video game “Pac-Man,” has died. He was 91. The Associated Press reported Monday that game maker Bandai Namco, which includes the company Nakamura founded in 1955, confirmed his death, which occurred Jan. 22. Company officials did not reveal a cause, The New York Times reported. Nakamura’s company, Namco, introduced “Pac-Man” in 1980, as the video game industry was in its infancy. 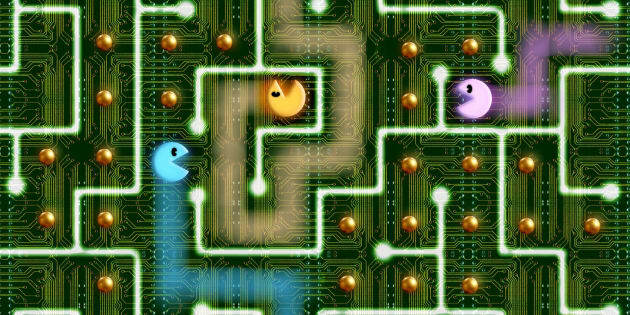 The game became an instant hit with arcade players, who enjoyed racking up points by moving a chomping, circular Pac-Man around a board with an insatiable appetite to eat gold balls and elude ghosts. Nintendo, which worked with Namco for years, tweeted a tribute to Nakamura on Monday. As a 3P partner Namco has been a big part of Nintendo's history, thanks in large part to Masaya Nakamura. He changed gaming for the better. Nakamura Manufacturing originally operated mechanical rides at a Tokyo department store. The company, later renamed Namco, partnered with the retail chain that wanted children’s rides in all of its locations. In the 1970s, Namco delved into video games with “Galaxian,” a shooter game, and acquired Atari Japan. Namco engineer Toru Iwatani invented “Pac-Man,” but it was reportedly Nakamura who came up with the name. Pac is short for “pakku,” which in Japanese denotes a munching sound. The A.V. Club reported an alternate history of the game’s creation. It said Nakamura renamed the creation “Pac-Man” after recognizing that the original title, “Puck Man,” would inevitably lead vandals to deface the arcade game by replacing the P with an F.
In 2005, Namco merged with Bandai, forming a huge company specializing in toys, video games, and amusement facilities. It reported sales of 575.5 billion yen in 2016 ― more than $5 billion by the current exchange rate. Nakamura held an honorary position with the company until his death, C-Net reported. Nakamura, born in 1925, studied shipbulidng at the Yokahama Institute of Technology.